You can easily add a forum or bulletin board to your WordPress site with the bbPress plugin. This allows users to contribute to forums or boards and perform tasks such as subscribe to forums, manage subscriptions. In this tutorial we will show you how to install the bbPress plugin in WordPress. Type 'bbpress' in the search box. You will see bbPress by "The bbPress Community" listed. Click the Install Now button. When the installation completes, click the Activate button to enable the plugin and complete the installation. 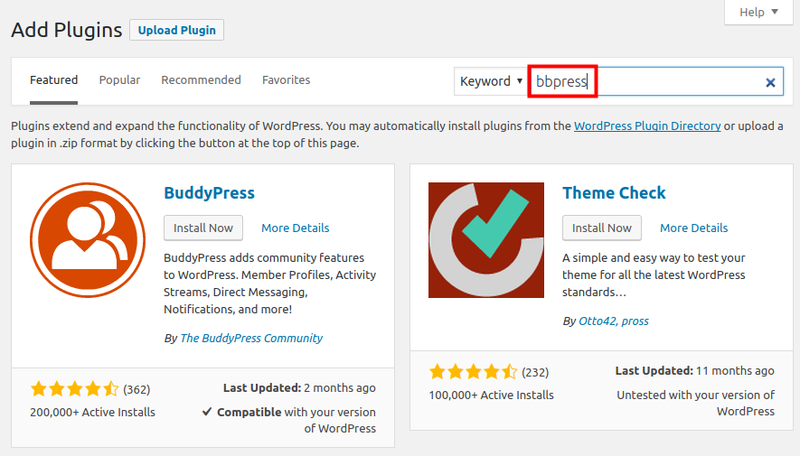 Congratulations, now you know how to install the bbPress plugin in WordPress! In the next guide we will show you how to create a new forum using bbPress.